These are the 3 focused categories we got from Carrefour Taiwan which aimed to create a better customer service through IoT technologies. Based on this, we start to plan out total solutions from B2B side ( to enhance service efficiency through backend system) and B2C side ( onsite shopping experience). In Carrefour, the store managers always face a problem of not having enough cashiers during peak hours (or having idle part-time worker during low traffic day). We implement UShop+ Store Traffic Analytics with total 8 2D UCAM at Carrefour Taiwan branch store and the UShop Store BI Report helps the store manager to easily find out the peak/off peak trend in daily, weekly, monthly or annual report. So store managers can optimize his/her plan on daily manpower arrangement. In Taiwan, over 100 Carrefour supermarkets are divided into 5 regions. Each regional manager can access to UShop+cloud platform to get a comprehensive analysis of traffic data across different branch stores. The Customer Feedback System successfully implemented at over 100 Carrefour hypermarkets and convenience stores throughout Taiwan. The system immediately and precisely provides store managers and the head office with the visibility of service quality of every cashier at every Carrefour store in 5 areas. The rating contributes to not only on each cashier’s service, but also accumulate to store managers, regional managers and overall Carrefour Taiwan’s service quality. This system aligned with Carrefour Taiwan’s strategy “zero-customer-complaints”. So that Carrefour Taiwan can create an even more pleasant and enjoyable shopping experience for shoppers. In creating a better shopping experience and providing a more comfortable shopping environment, Carrefour Taiwan implemented Indoor Air Quality (IAQ) solution, Digital Signage Solution and e-Catalogue in its branch stores. In Carrefour Taiwan, each store manager owns and manages several digital signage display contents every day inside their store. When it is during promotion or holiday season, how to deliver the right promotional message at write time is important. Signage is an efficient communication tool between Carrefour Taiwan and shoppers. A stable and secure signage CMS is crucial. 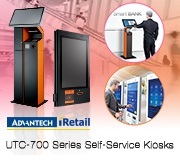 With Advantech’s content broadcast system- WebAccess/IMM, any Carrefour Taiwan branch store manager can simultaneously manage the promotional contents on dozens of digital signages. 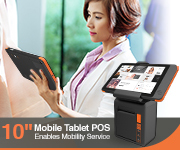 The head office is also able to remotely manage client devices in just one go via cloud to enhance work efficiency. In concerning of consumers’ health and safety, Carrefour Taiwan implemented air quality monitoring sensors inside the store. It disclosures the air quality index such as PM2.5, CO2, temperature and humidity on signage display. More than that, the managers can review the indoor air quality trend on cloud platform, and activated air circulation immediately whenever the CO2 exceeds 800ppm due to high traffic hours. 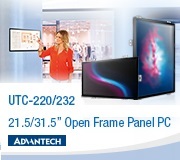 An in-store interactive digital signage with Advantech’s UTC-532 all-in-one touch computer is implemented for consumers to browse weekly DM more easily. They can even download the DM by scanning QR code and take it away. 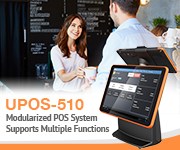 Working with Intel, Advantech creates UShop+, an intelligent retail management platform that achieves the interconnectedness of endpoints, networks, and cloud service, with highly integrated software and hardware to provide standardized retail solutions covering four major categories, customer engagement, operation management, and business intelligence. 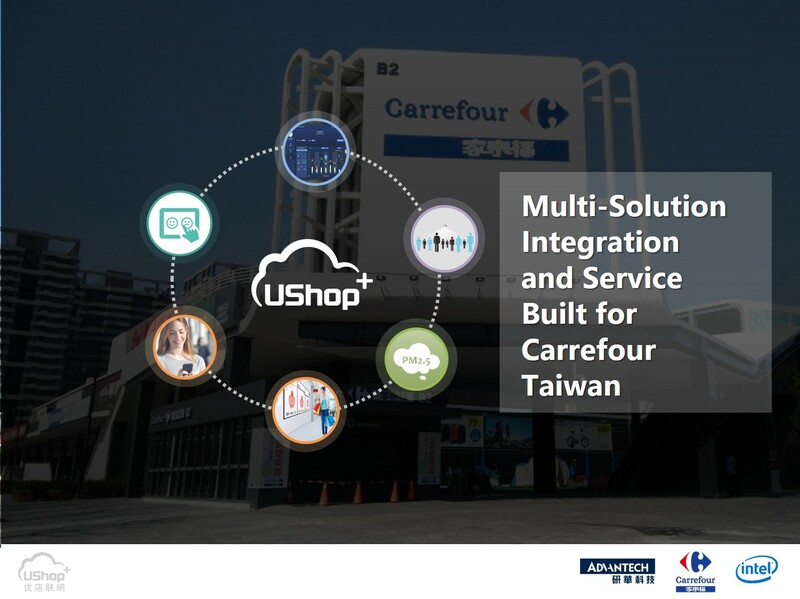 “Supported by our several standard solution ready packages, Carrefour Taiwan branch stores and the head office can not only easily manage each system, but also optimize their sales strategies through our business intelligence report on the UShop+ cloud platform, as the cross-data analysis we provide helps develop sales insights from big data.” Said by HungSheng Su, the Director of Service IoT Department of Advantech. When everyone is asking why and how Amazon Go presages a new era of smart supermarket, how the Internet of Things (IoT) will impact retail industry, and how to build a unmanned store? Carrefour instead focuses on its one simple ambition: making Carrefour the preferred retailer wherever it operates. This brings all the questions back to the core of retailing: customers and service. In believing of better shopping experience and excellent customer service are the core foundation for a successful business, Carrefour Taiwan continues to improve itself in all factors that relate to customer satisfaction. 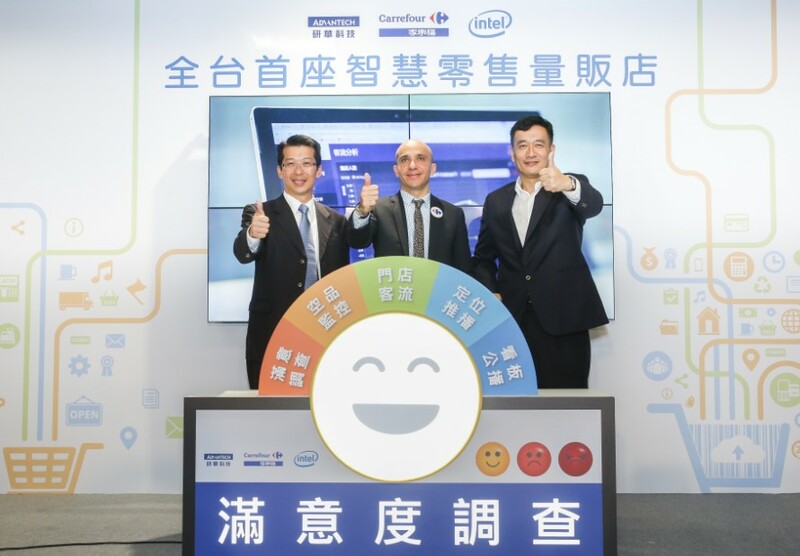 Advantech, as the core intelligent retail solution provider for Carrefour Taiwan, continues to cooperate with Intel to deliver a better solution service for Carrefour Taiwan as well as its customers. MC.Chiang, Associate VP of Service IoT, Advantech(left), Rami Batieh, CEO of Carrefour Taiwan (center) and Jason L.S. Chen, the Vice President of Sales and Marketing Group and Managing Director of Asia Tech Ecosystem INTEL together announced the accomplishment of Taiwan’s first smart supermarket in July 2017.